Welcome to Show and Tell Friday! A nice neighbor of mine that has never read my blog or never been in my apartment saw this soup tureen at an antique store bought it for me! He's only walked by my apartment before but he thought it looked like something I might like. I'm on a main walkway so everyone can see in! I told him I feel like I live in a fishbowl so on my birthday he gave me a fishbowl with gold fish! They lasted about a week...I'm not good with keeping those alive and honestly although it was a nice gesture, I thought my goldfish days were long gone now that my kids are grown! 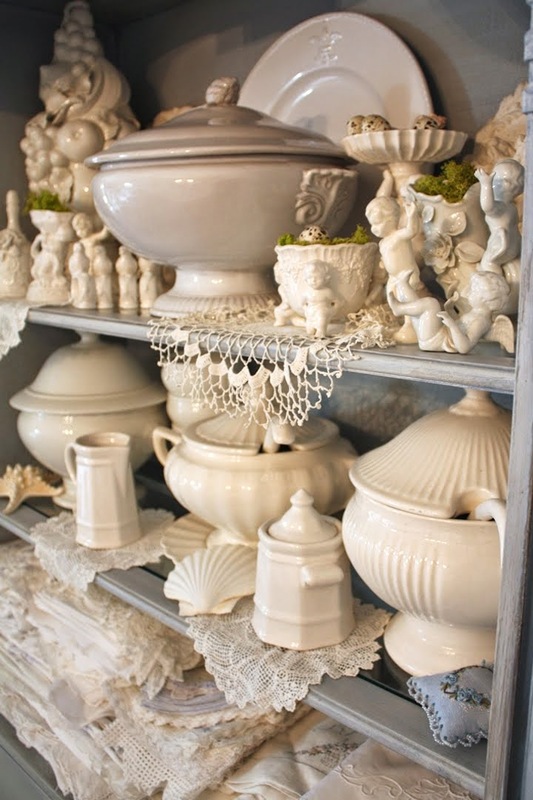 As you can see from my photo below I collect white soup tureens! I wanted to put this one in with the others in my blue cabinet but it's too big! I'll always find a place for a new soup tureen though! Now I think I'll have a soup party for some of my nice neighbors! Note: Sorry for not having this post up at my usual time...6pm PT on Thursday night but the SF Giants are in the playoffs and I've been preoccupied with that! I'm actually writing this post as I watch the game! Go Giants! 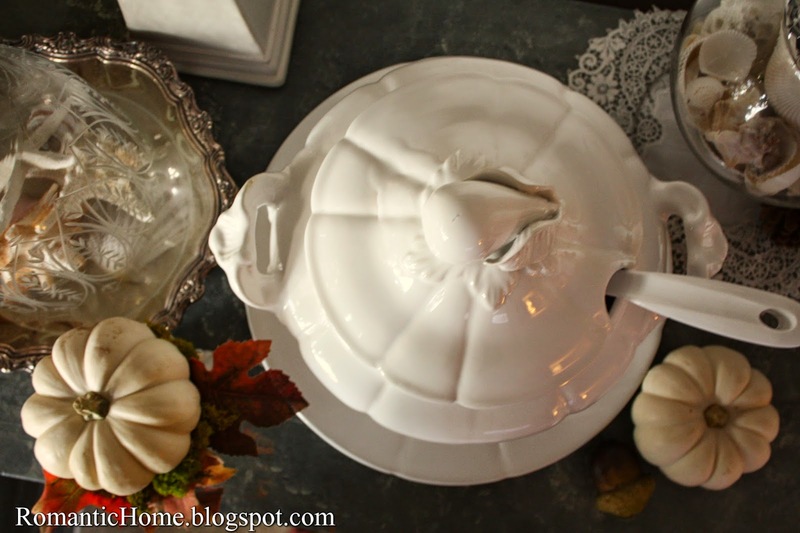 I have 3 soup tureens - the beginning of a collection lol - yours are just beautiful ! Love partying with you Cindy :) I have always wanted a toureen but where would I put it? Maybe one day. I think it sounds like your neighbor is sweet on you. I'm sure he is hoping you'll invite him in for soup! Such a sweet gesture! Thanks for hosting, Cindy, and have a nice weekend! I collect soup tureens, too. They are definitely addicting! Lovely neighbour to be so kind.Your soup tureen collection is lovely. You may not be too happy in your new digs. However, you have a very nice neighbor. At the end of the day, it's the people in our lives that bring us joy. Regardless of his intentions, pay it forward!! I love your new soup tureen! Wonderful find! Thanks for hosting! Oh Cindy, I think he is your utmost admirer, lol! 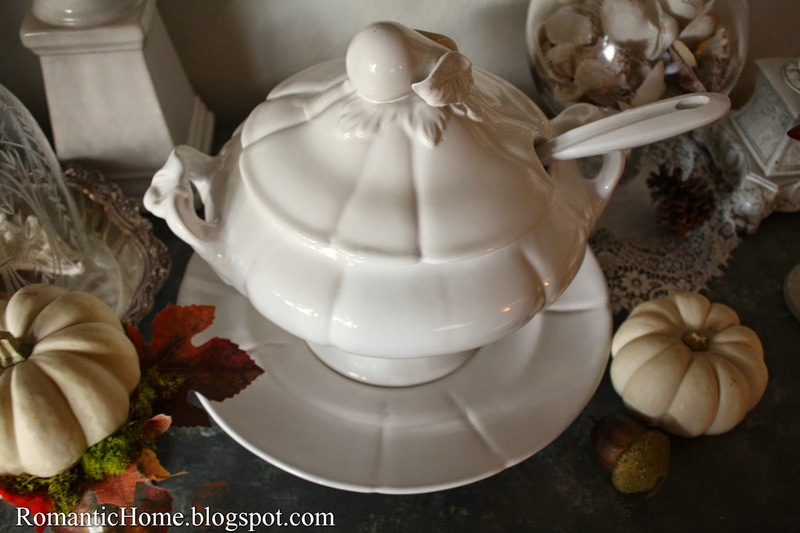 I adore white tureens and your gifted one is gorgeous! I have a lovely one my mom gave me many years ago...course, I have very many with a pattern and another elegant white from my Noritake dishes. Thanks for the party and have a lovely weekend. Thank you so much for hosting this party for us each week. 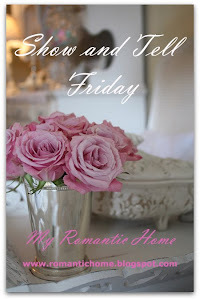 I look forward to it every Friday! That was so sweet of your neighbor. I have neighbors who wont even give you your mail if its delivered to them by mistake! It's a beautiful tureen, I love collecting them too. Thanks for hosting Cindy, have a great weekend. 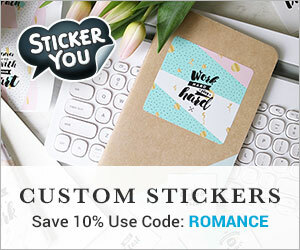 I agree that it sounds like he likes you a lot. But I sure wonder why you don't put up lace curtains for privacy!